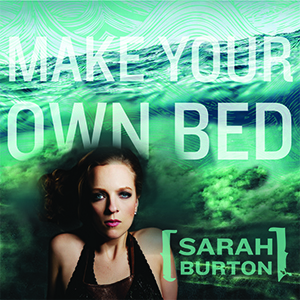 Sarah Burton’s newest album MAKE YOUR OWN BED is a departure from her guitar-slinging roots days, as she sits down at the piano to write the pop album that’s been sitting under her skin for a decade. Sarah Burton’s playful soul has found its home in music through three diverse albums and countless ups and downs while traversing the globe. She’s seen her way through acoustic folk beginnings, into country swing and steel guitars, then into electrifying blues-rock, but her new album MAKE YOUR OWN BED is not just an embrace of indie-pop and rock, but a return to her first inspiration: the piano. Most of the tracks were recorded on a concert grand Steinway at the Almonte Old Town Hall, where Sarah fell in love with the beautiful piano while playing a show with Royal Wood. It turns out that Ken Friesen had been recording bands such as The Tragically Hip, Blue Rodeo and Hawksley Workman on that piano for years. That’s where the recording journey began. In essence, it was the piano that inspired this album and its songs.